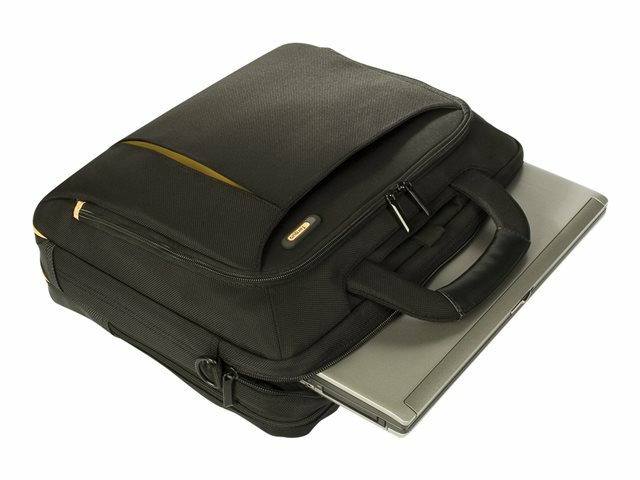 The Meridian Toploading Laptop Case is an all-inclusive, stylish case for traveling. 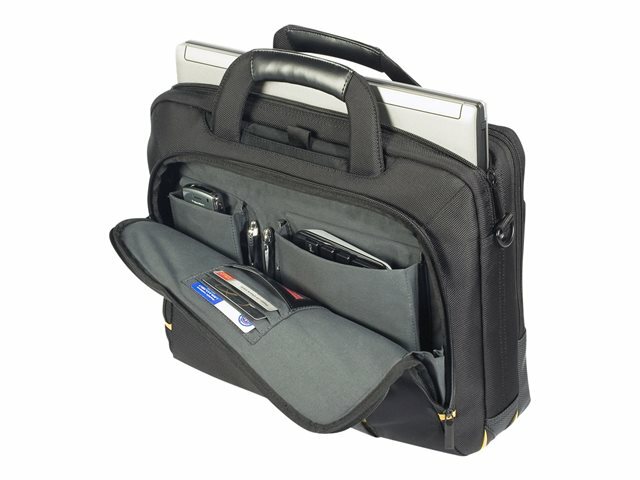 Designed to fit laptops with up to 15.6" screens, it also provides protection by the padded compartment that keeps your laptop safe during travel. 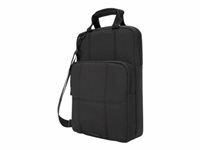 Equipped with the durable nylon materials with signature weather mesh on the bottom of the case provides a stylish design element and shock absorption. 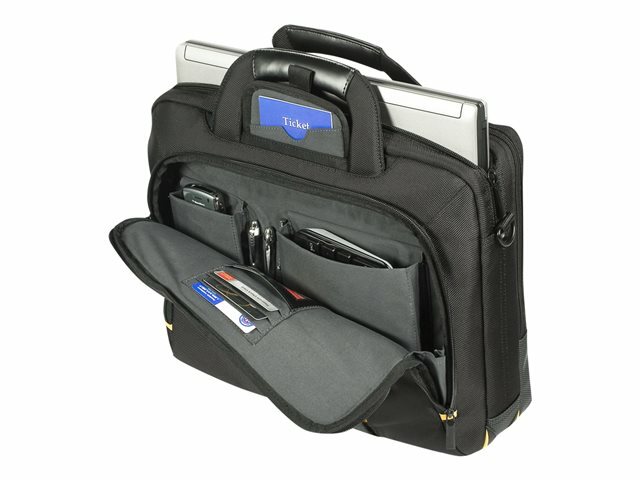 The front workstation includes a removable cell phone pocket, pen loops, business card holder, and multiple accessory media storage pockets for added convenience. 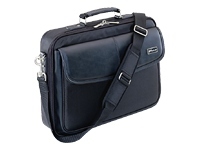 Its expandable file section keeps your documents organized during travel. 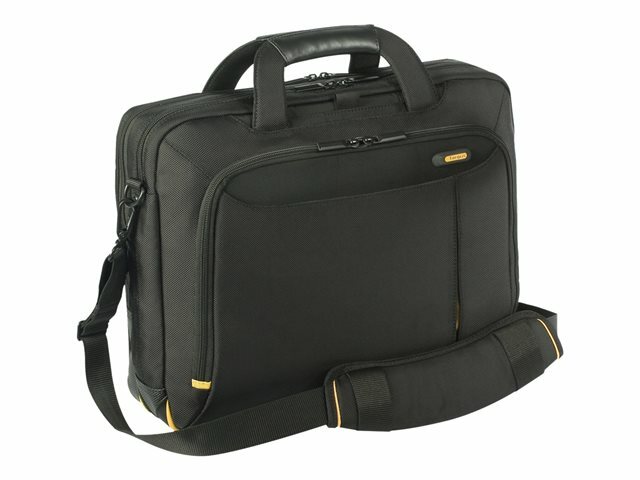 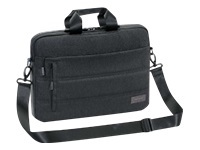 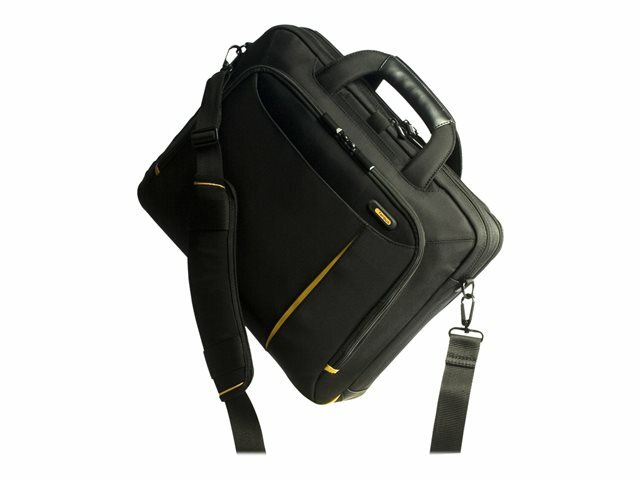 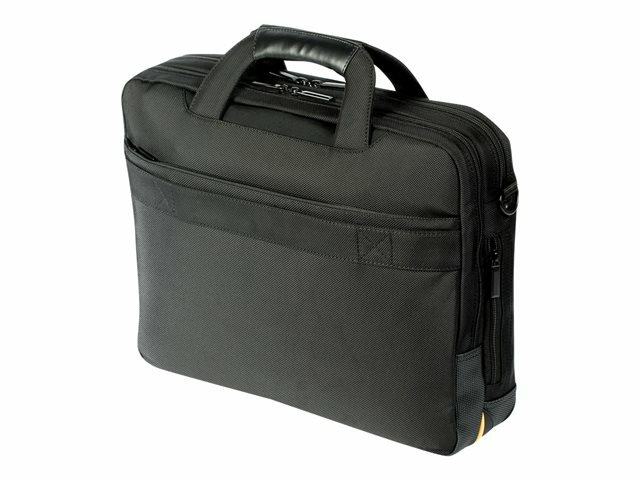 This case is incorporated with a shoulder strap that is comfortable, adjustable, and uses metal hooks and D-rings. 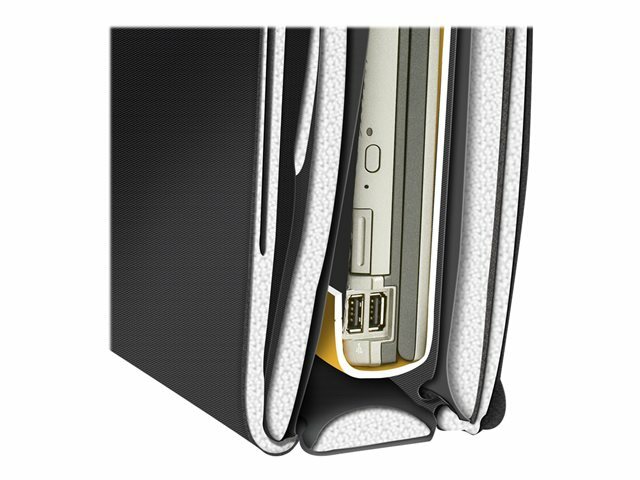 Additionally the premium soft twill lining throughout the case prevents valuables from being scratched and adds a quality feel.